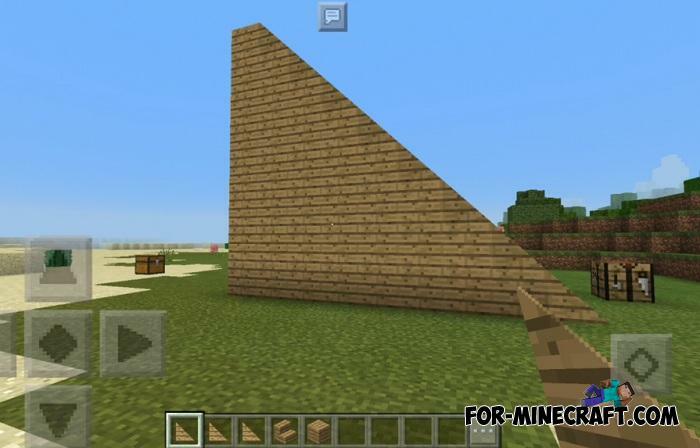 Professional builders in MCPE will say thanks after downloading this modification. 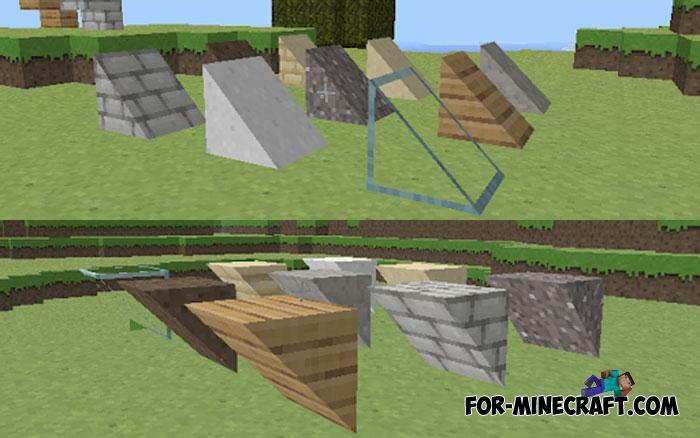 The Slopes Mod adds 14 new blocks that break the cubic style of the game completely. 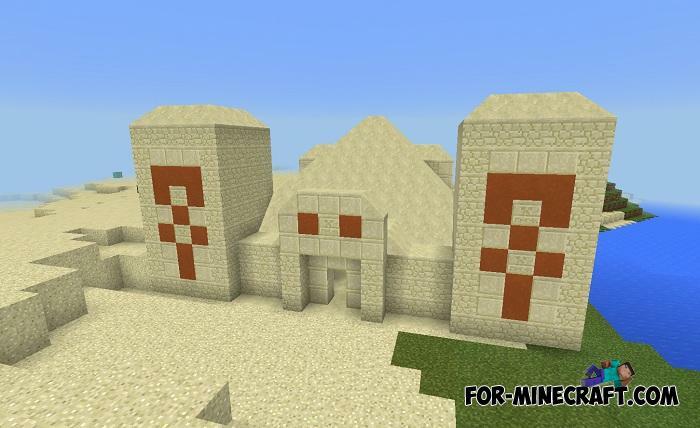 Most likely you have seen a similar mod for Minecraft PC and would like to get it in PE. Well, Nkjgjg did a good job and ported slopes to your favorite Bedrock Edition under the Inner Core launcher. What are slopes and how to use them? The slopes are the same steps but in a different form. They have a similar recipe but perform a different role during construction. First of all, the slopes will allow you as an experienced miner to create realistic smooth roofs for mansions and houses. Do you want an even slide on which you can climb without jumping? Or maybe you need to smooth corners and achieve absolute evenness? 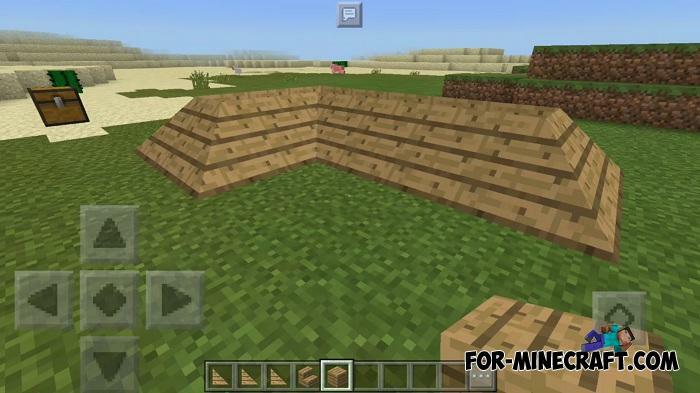 This can be done with the help of the slopes in Minecraft PE which are fully functional like the other blocks. How to install the Slopes Mod? 2. Open the mod file using IC.